Bright color border strips frame each of the blocks to add depth to this design. 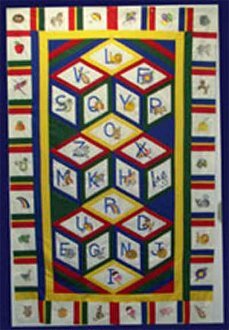 The wide border has square blocks with designs embroidered without the letter. Uses the View & Do™ Diamond Shape (sold separately). Size: 48" x 75"